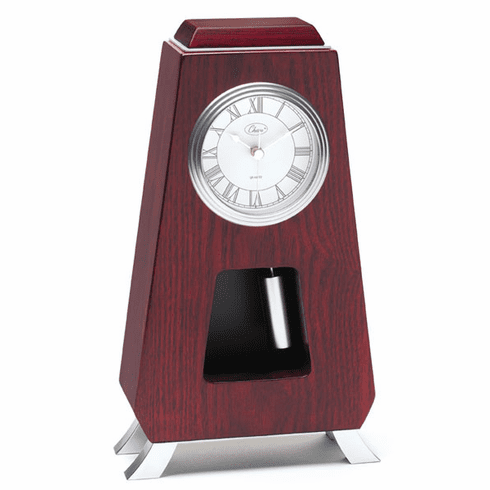 This unique pendulum mantel clock features a matte mahogany finished wood. Matte/shiny silver finished accents complete the look. Hand assembled. Quartz clock movements ensure reliability and trouble-free service. Uses batteries (not included), and comes with a 1 year warranty. Dimensions (inches): H:11-1/2", W:6-3/4", D:3-1/8"